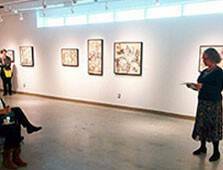 The Oshawa Art Association Juried Show is an annual exhibition of local art. The exhibition is held 11 September – 28 September with an opening reception on Thursday 11 September at 7pm. Visit www.oshawaartassociation.com for information.